a 60 shaped sparkler on top. 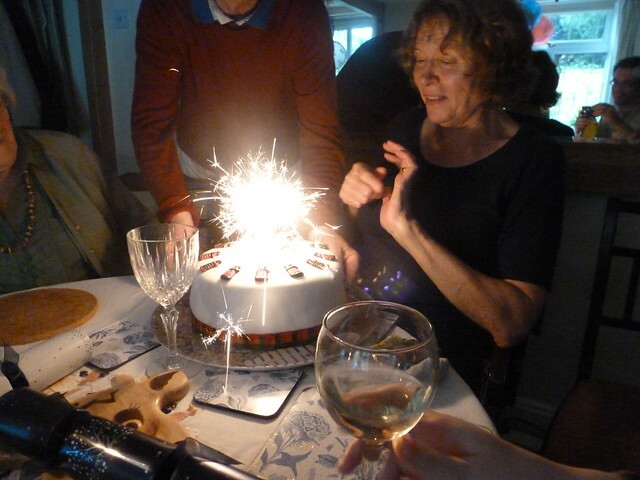 Last Sunday, Mum turned sixty. Naturally, there was a cake. Naturally, it involved Daleks. However, this time we wanted a really big cake and we wanted it to look neat, unlike previous chocolately Daleks which have variously resembled walruses and fire hydrants. Thus we attempted a collaborative effort which... it still wasn't stunning. The cake itself was structurally unsound. There was a little miscommunication about scale and colour. 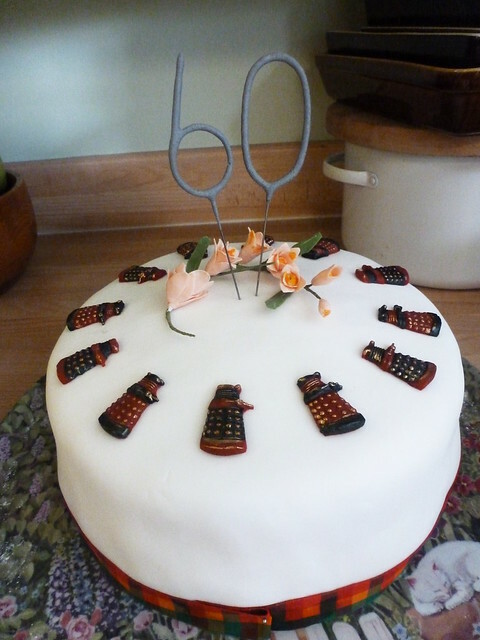 But hey, this is a Dalek cake. If it didn't look like something produced by an alien life-form, there'd be an issue. Stephen and I made the cake, iced the cake & made the Daleks (it was about time that Warhammer figure-painting experience came in handy). Granny made the flowers. My sister provided the sparkling 60. Next time, we will make another Dalek. However, most importantly, Mum loved the cake, it tasted good (a sort of Black Forest Gateau re-interpretation) and a lovely time was had by all. Love the rose and Dalek combo :) Great work!